I have been planning this super awesome post about Singing the Star Spangled Banner. However, with babies and the Ghost Light Vocal Jam and teaching and Mascara, it's taking me long than I thought. Today was going to be the day to finish it, UNTIL I was hit with an overwhelming NEED to talk to you guys about FEAR. I've had several regret messages this week from people who were planning on making it out to the vocal jam tonight. I honestly think I heard from about 5 people who couldn't make it. They were all new people who had not been there in the past. They all had super valid excuses from work or other scheduling conflicts, feeling sick, all great very valid reasons. But then… I started thinking. What if there is another part of them that is allowing their fear to find and confirm these excuses? AND THEN I started thinking… HOLY HECK! Look at all of the people who have NOT BEEN AFRAID! You guys, I seriously get chocked up thinking about it. I can't BELIEVE how brave you all have been! We've had all ages from young to young at heart ; ). And I KNOW it has been scary for all of you! No matter how seasoned a performer you are, getting up and singing in front of an audience UNREHEARSED with a piano player you've just met is LOONEY TUNES!! But, guess what, that is basically what we have to do as performers EVERY DAY! Every time we audition we walk into a room, give an accompanist our music, and sing our heart out for a table of people who hold our future in their hands. IT IS CRAZY!!! 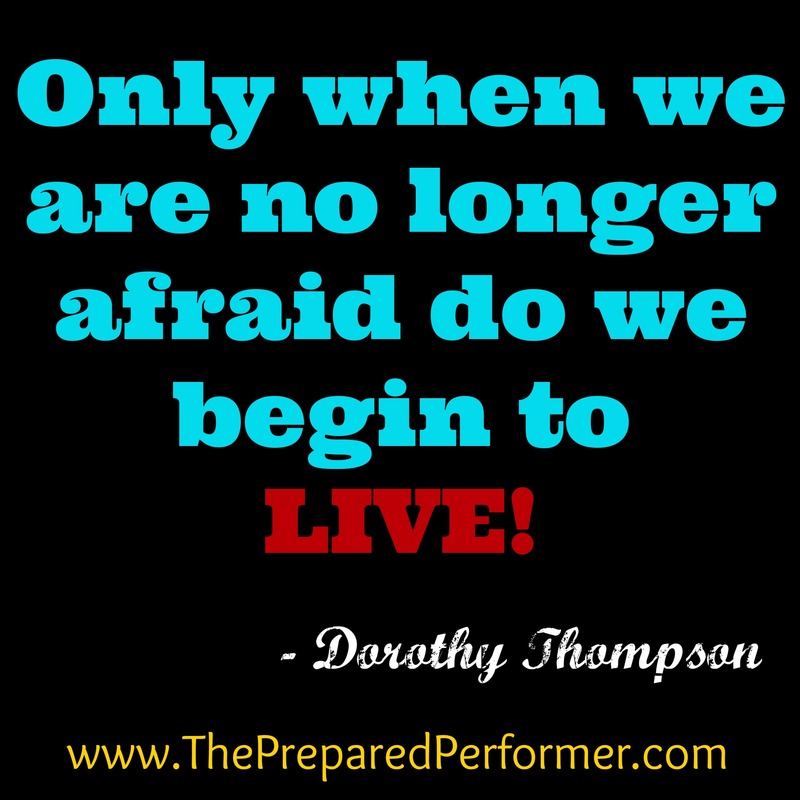 I honestly can't believe I lived the life of a professional performer for 10 years without having a heart attack! Ha! THE ONLY WAY FOR IT TO GET EASIER IS TO DO IT! THE ONLY WAY YOU WILL GET PAST YOUR FEARS IS TO TACKLE THEM? So, are you ready? We are doing it again tonight! I can't wait to see you all rock the stage tonight! See you at THE JAM!